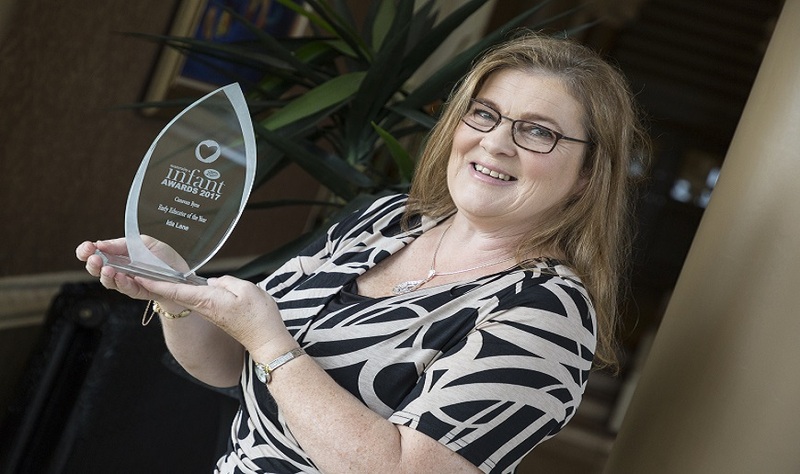 Early Educator of the Year Award…one of Childminding Ireland’s own! On entering Ida’s children’s paradise it’s easy to understand why she won the Early Educator of the Year at the Boots Maternity & Infant Awards in October. Ida’s dedication, enthusiasm and inclusive attitude is what makes her special. Her infectious personality coupled with her warm and inviting home which has been superbly adapted is a testament to her. 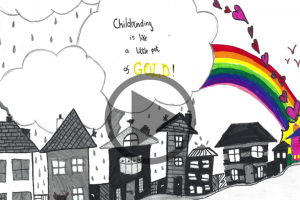 Ida, a Childminding Ireland member, takes a child centred approach to learning and covers all aspects of the curriculum as and when children want to learn. Ida incorporates themes into all aspects of children’s learning. For example, there are a number of children in her setting who are very interested in dinosaurs at the moment. Therefore, Ida is reading dinosaur stories, using dinosaurs to teach counting and is leveraging the theme to expand the children’s vocabulary and pronunciation by teaching them the names of dinosaurs like tyrannosaurus and styracosaurus! Ida’s can do attitude is her guiding principal in everything in life and this is reflected in her service. Ida has minded several children over the years who have special needs. Currently Poppy is attending Ida’s preschool and she is paralysed from the neck down. Ida attended courses to understand and learn more about the condition which affects Poppy and had her home vetted in advance. Ida has successfully integrated all the personalities within her setting. For example, when it’s Poppy’s turn to set the table she asks each child which colour plate they would like to use for lunch and they come up and get it from her. Ida felt rewarded when Poppy’s parents spoke about how Ida gave them hope. The children in her educational setting appear to be content and to enjoy each other’s company. Ida has set boundaries for the children and this is without them being overly prescriptive or too restrictive to dampen their sense of curiosity and imagination. Ida encourages the children she teaches and minds to be independent. For example, Ida teaches the children to resolve conflicts with other children themselves whenever possible. Ida also follows the Montessori thinking on not doing things for children if they can do it for themselves (e.g. put on their coats). This all promotes an environment which encourages happy, self-confident children with high self-esteem. Ida’s setting is full of some of the most beautiful educational resources, fun toys and engaging books you could have. They are well organised and inviting for children to want to find out more. She also has a lovely garden equipped with a Jungle Gym, outdoor play cars and 2 chickens! The good news is that the children will put the toys and resources they play with, away after they have finished using them with very little prompting. Ida rotates her educational aids and books depending on the themes of the month and childrens’ current interests. She also has a storage room stuffed with resources which any childminder, Montessori, Primary School or crèche would be proud of. This is a testament to her own insatiable appetite for new educational aids over the 20 years she has been working as a childminder and Montessori teacher. The challenges that Ida faces on a day to day basis are similar to any other Tusla registered childminder. 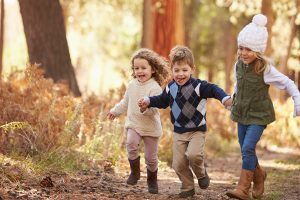 Ida feels that the number and stringency of some of the regulations in the sector are difficult and the lack of understanding relating to how childminders differ can be frustrating. Ida hopes that the new Tusla regulations coming on stream in January won’t be overly cumbersome. When it comes to snack time, Ida takes a healthy eating approach to introducing the children to a selection of fruit and healthy snacks. Ida is just about to graduate from Carlow IT (Wicklow campus) with a BA in Applied Early Childhood Education. 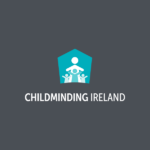 Congratulations Ida from all of us in Childminding Ireland – thank you and your minded children for welcoming us in to your home and childminding service.